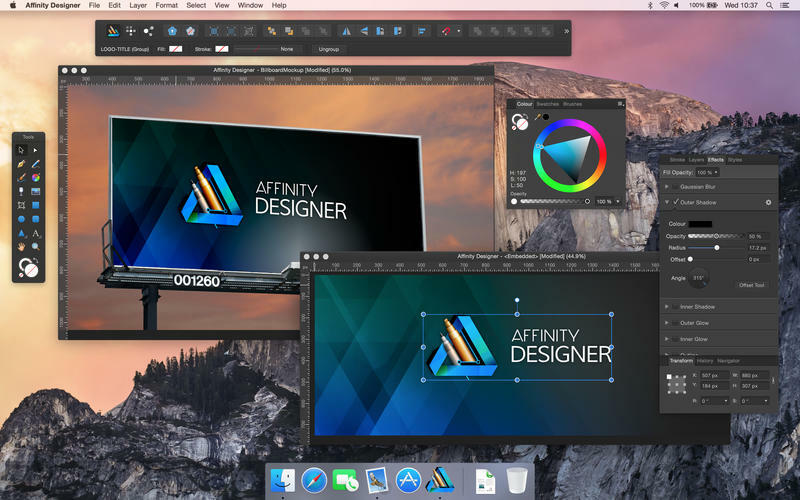 – Fully optimized for OS X Yosemite and iMac with Retina 5K display. – Added Stroke alignment options for Inside and Outside strokes. 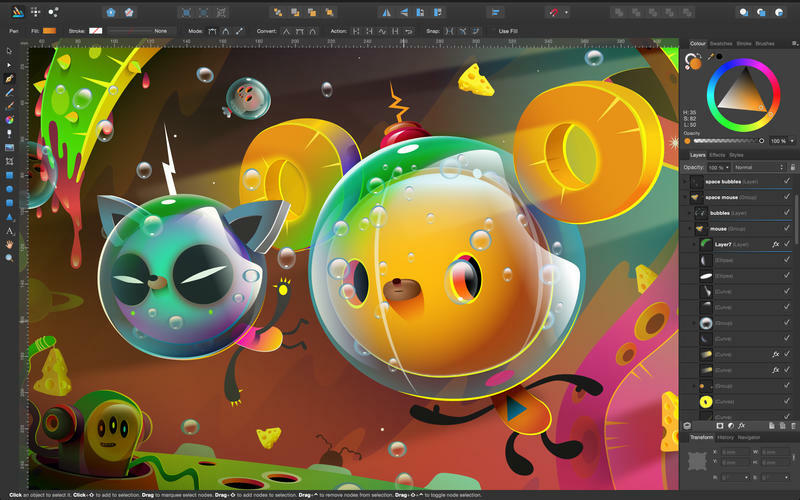 – Improved performance for Pencil and Brush Tools, also improved the shapes they create. – Introduced ‘Continuous Export’ feature to Export Persona. – Added automatic @3x export support. – Clipboard now supports vector copy and paste between other applications. – Images can now be replaced in-place. – Improved SVG and PDF export. Also improved JPEG export quality. – Improvements to boolean operations and Expand Stroke function. – “Gamut check” option for Soft Proof adjustments. – Users with integrated and discrete graphics cards can now opt to only use the integrated card for power saving. 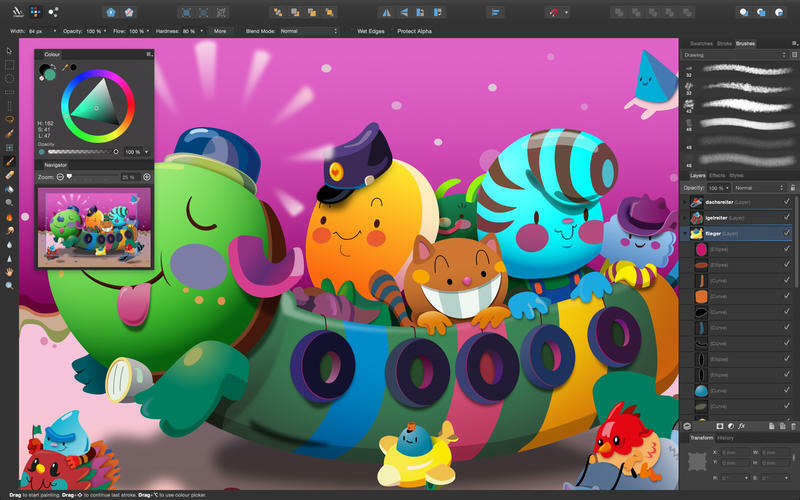 – Pen tablet users can now automatically change to the eraser tool by using the eraser tip of their pen. – Numerous other performance improvements and bug fixes. Visit our support link to view a full list of changes. Tayasui Sketches + Draw, paint, sketch and doodle ideas like on paper.